I had the opportunity to interview educators from the Louis Armstrong House Museum at the Celebration of Teaching and Learning in New York City during the month of March. On April 7th, my students and I went on a wonderful tour of Mr. and Mrs. Armstrong’s historic home in Corona, Queens. I want to send out a thank you to the staff at the Armstrong House. They were so warm and welcoming…and very enlightening. A special thank you goes out to museum educator Ms. Jendar Marie Morales for taking time out of her schedule to be interviewed by me in March, and then giving my Kids for Coltrane students a tour of the Louis Armstrong House Museum in April. We had a great time! Check out their website http://www.louisarmstronghouse.org, better yet plan a visit. For more ideas on jazzy things to do this month, I highly recommend the Smithsonian Institute’s site http://www.smithsonianjazz.org. 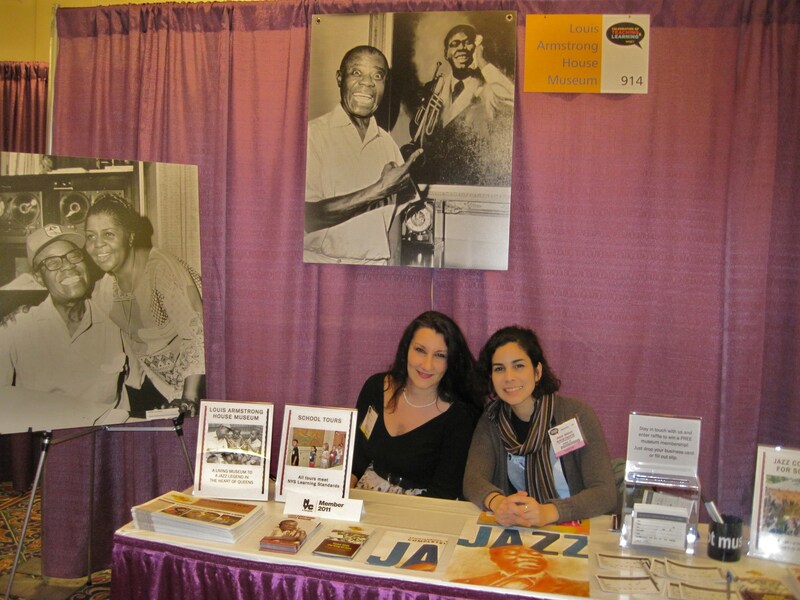 It is chock full of great ideas for Jazz Appreciation Month and all through the year. Another special thank you goes out to the JAM program manager at the Smithsonian, Ms. Joann Stevens. Joann has been very supportive of my work with the Kids for Coltrane Project over the past few years. She always sends us beautiful jazz commemorative posters when we have our Kids for Coltrane concerts. My students and I really do appreciate everyone’s thoughtfulness, and we certainly appreciate jazz! 1 Response to "April is Jazz Appreciation Month…So Do Something Jazzy"
Thank you for this post! It was so nice to meet you at the Teaching and Learning Conference and to see you again at our house. Your students are amazing and you’re doing such a great job. I am looking forward to having you come visit us again soon and maybe collaborate in some projects.